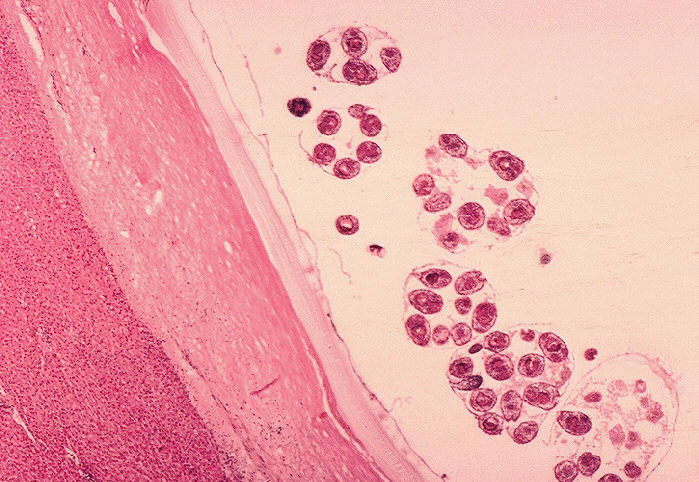 ID#:	910 Description:	Histopathology of Echinococcus granulosus hydatid cyst in a sheep. Thick fibrous pericyst, hyaline ectocyst, and brood capsules filled with protoscolices are visible. Parasite.